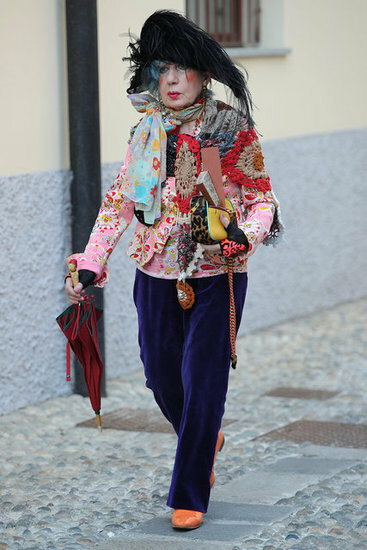 Anna Piaggi, who was found dead in her home in Milan Tuesday morning. 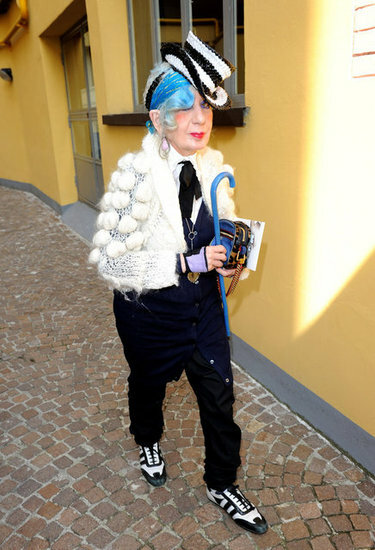 She is more like Anna Wintour in her era, beside they share the same first name, right? The Italian newspaper La Repubblica broke the story, and Stefano Gabbana was among the first to comment on the news, tweeting "RIP Anna Piaggi . 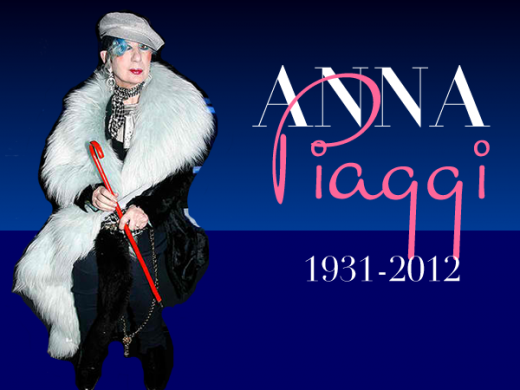 . . ciao grande Anna!!! " Kate Betts said she would "never forget intrepid style icon Anna Piaggi — we shared many laughs backstage at so many fashion shows . . . for so many seasons, years." 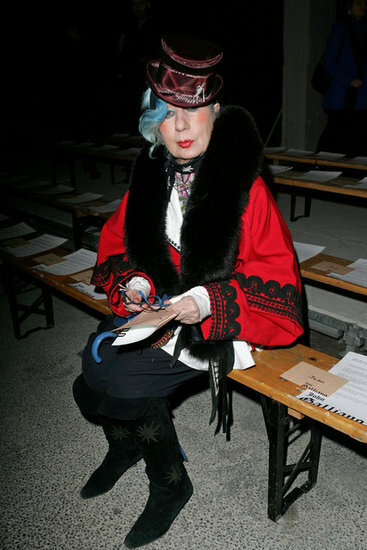 Franca Sozzani, who had worked with Piaggi for over two decades, called her unforgettable, too. Piaggi got her start in journalism as the first fashion editor of Ariadne, considered one of the first women's magazines in Italy. Over the course of her career she worked for a number of others, too. 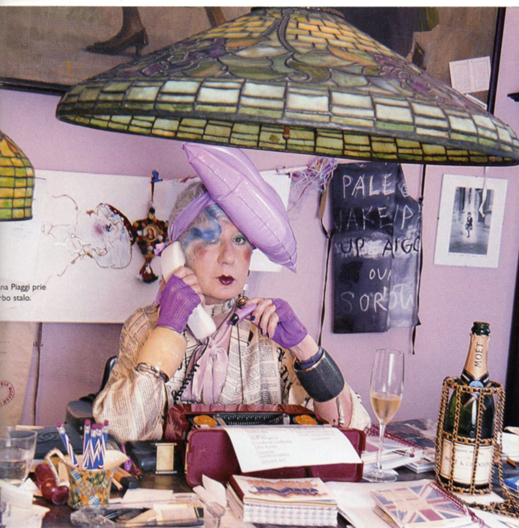 Piaggi's writing appeared everywhere from Vanity Fair to Italian Vogue, for which she created the famous Double Pages: a full spread of highly colorful photo illustrations that captured the spirit of the moment. 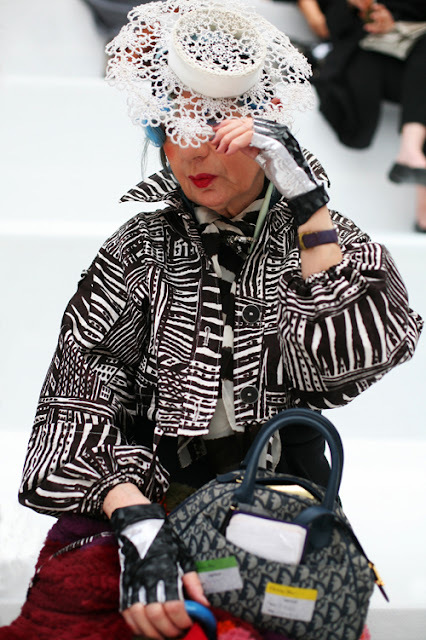 She also wrote a book called Fashion Algebra on how those pages were created. 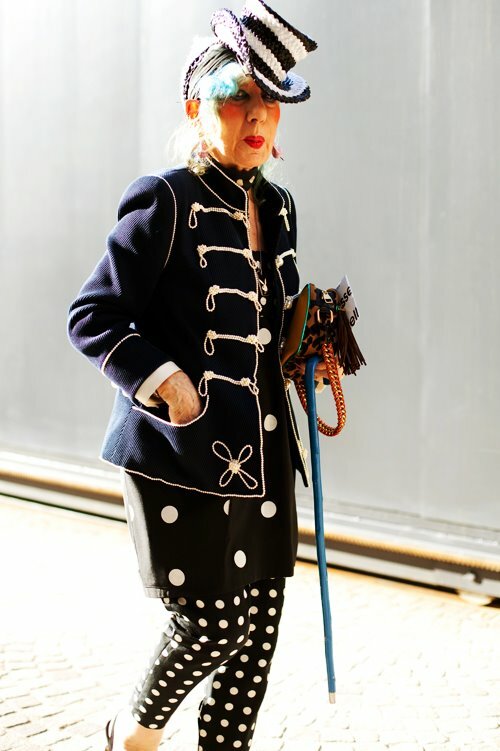 While her contributions to journalism are great, she will perhaps be best remembered for her inimitable personal style. 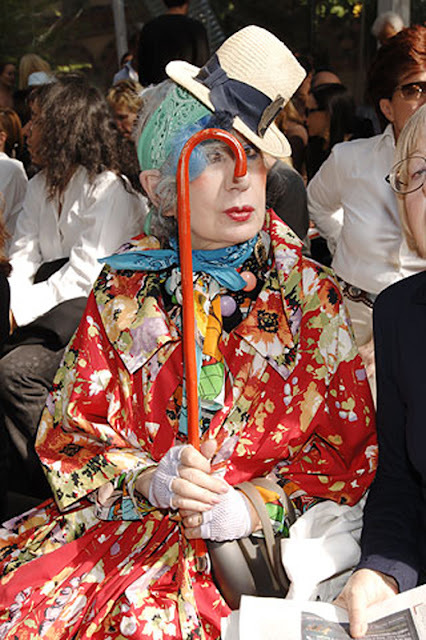 Her wardrobe, which encompasses over 2,800 dresses and over 200 pairs of shoes, was the subject of an exhibit at the Victoria and Albert Museum in 2006. Piaggi was named to Vanity Fair's International Best Dressed list "somewhat belatedly in 2007," in the words of Cathy Horyn. Manolo Blahnik once called Piaggi "the world's last great authority on frocks." from her bright blue ringlet peeking out from underneath a signature fascinator or hat, bright lips and her peachy cheeks.. She's truly a fashion icon, she was and will be like that in our heart..